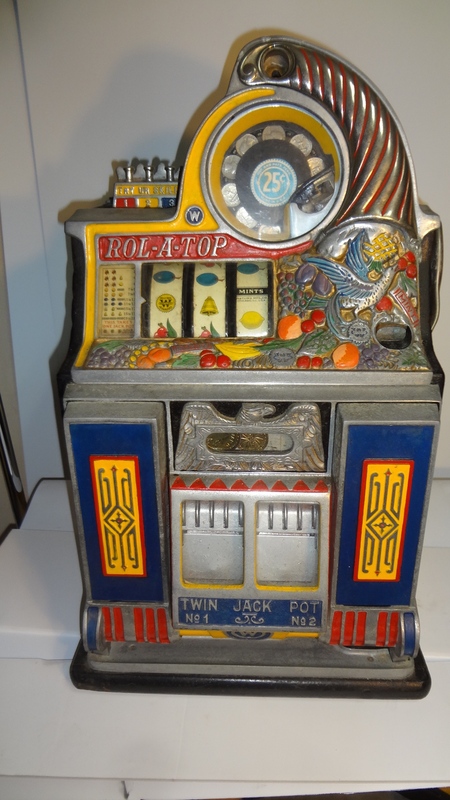 A Rol-A-Top is considered the King of Slot Machines for any collector. 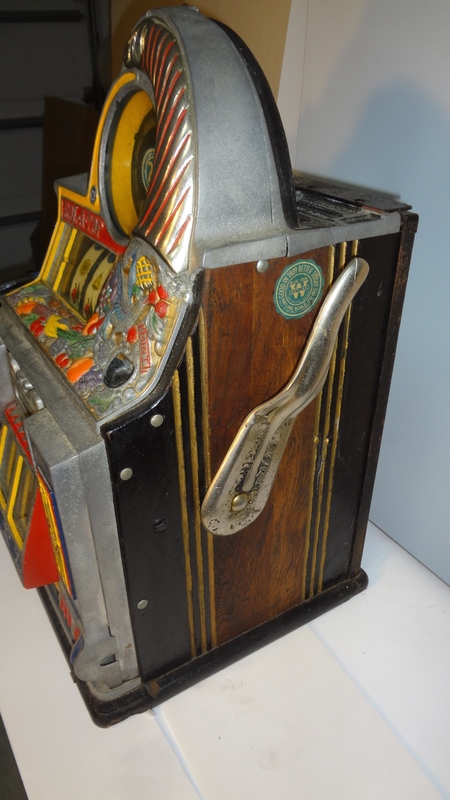 This 25 cent machine Bird of Paradise is the RAREST Watling Rol-A-Top Slot Machine w/ twin jackpot, mint vendors, skill stops, gold award, oak ribbed side case, original decals, original watling coin box, original metal reel strips, original award card, and original heavy back door. Fully loaded Machine unrestored machine. We played the machine 20 or more times and machine works and pays, but does not dispense a mint. We never hit a token or jackpot dispense for anything to happen. Selling in as is condition. 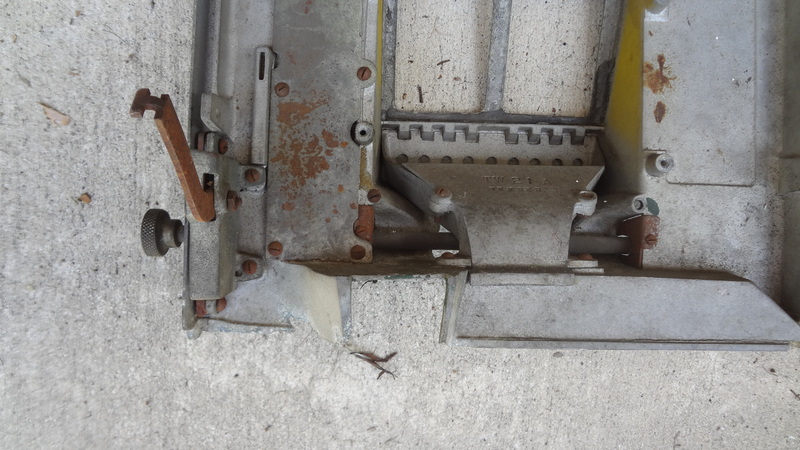 Missing lock for rear door. 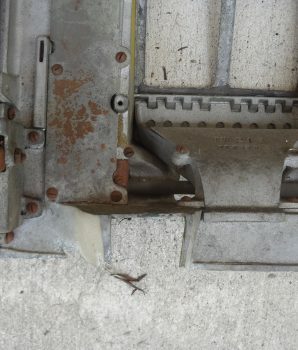 Machine is unrestored. Was missing a lever part for the dispenser but I purchased one and installed. Refer to photos for more details. A rare find! As found, stored away many years ago. Untouched. This is a Watling Bird of Paradise QUARTER Rol-A-Top. 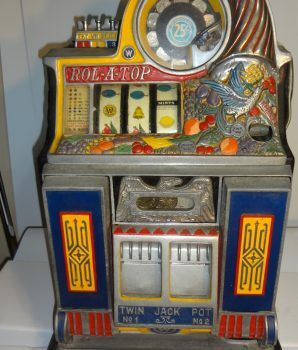 Rol-a-Tops are know as The King of Slot Machines. 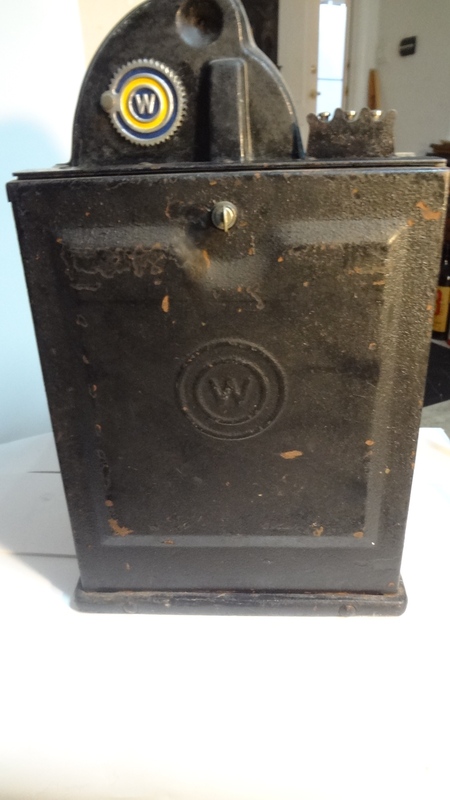 Very desirable model and highly sought after by collectors especially with 25 cent coin denomination. A great Investment a fine addition to any game room. 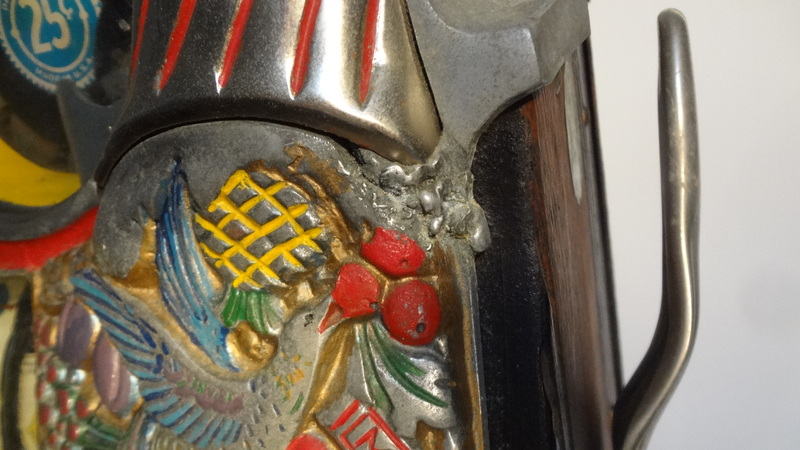 A 25 cent fully restored Bird of Paradise with same features sold for $12,500 plus 15% fee at a Florida auction. I can show you the link if interested. Another quarter 25 cent Bird of Paradise sold on ebay some years ago with no extra features sold for $7400.00. 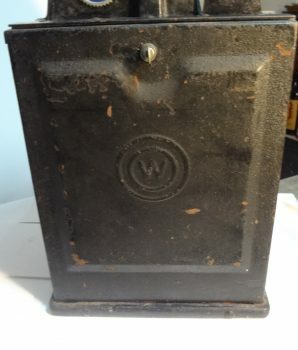 A 25 cent Watling Rol-A-Top Bird with all these extra features are very very rare and a desirable machine for any collector. The slot machine needs to be restored for 100% functionality. If you like restoring your own machines or working on projects, then consider this machine. The three skill top buttons are evident but needs the bottom lever part. The mint vendor knob and rollers are present but does not dispense a mint. Apparently needs adjusting. 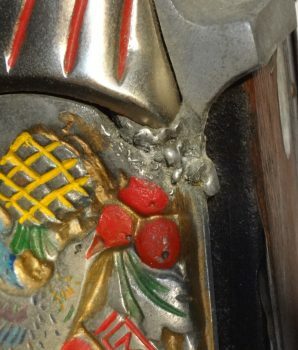 Has the original watling handle. Its unique in finish. I have another handle I can substitute off another machine if you don’t like the finish. 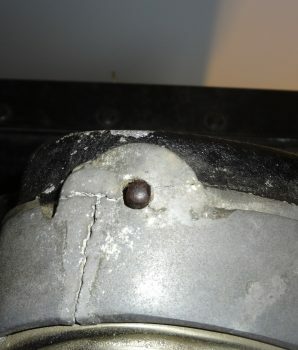 Had a minor weld repair on casting. Please see all images for details. 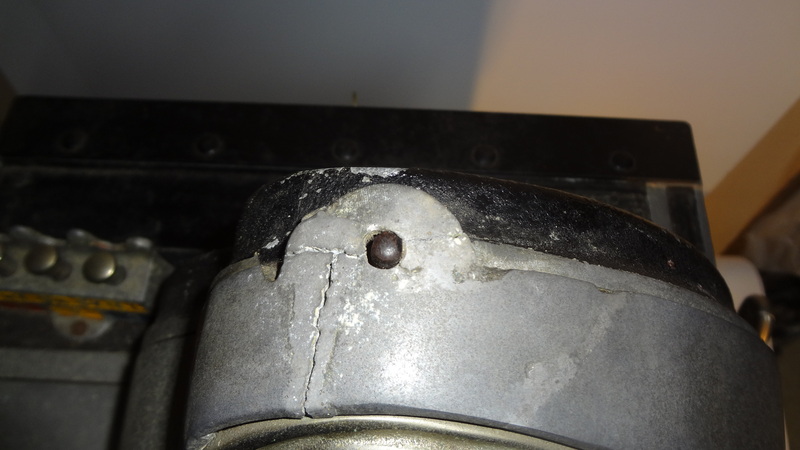 The machine will be a fine restoration project. Selling as is condition. 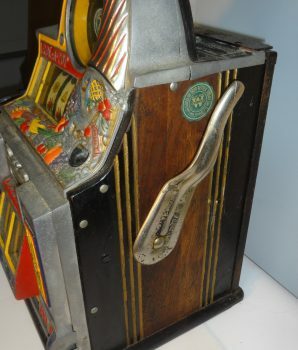 Don’t forget the slot machine stand? 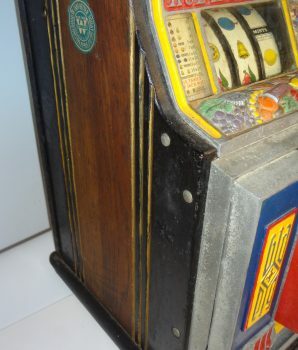 We sell a variety of slot machine stands. 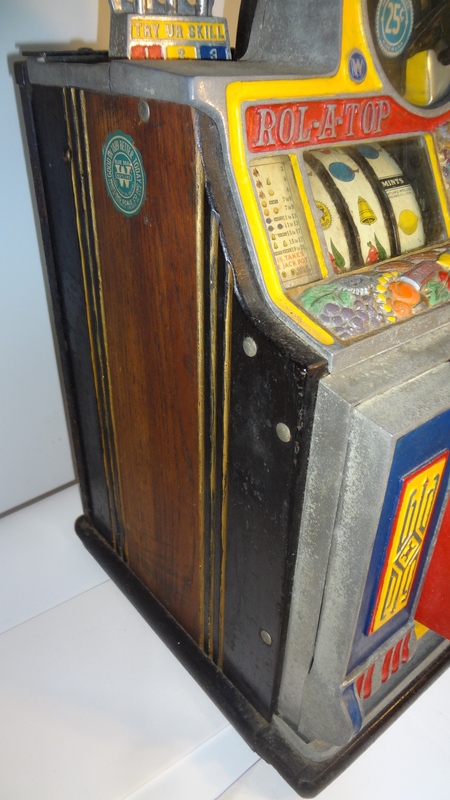 Our best sellers include cast iron decorative slot machine stands and foldable slot machine stand designs.